The gender court in Sekondi has ordered Mawusi Rose Fiaku, the 42-year old woman who is standing trial for allegedly stealing a one-year-old baby in Takoradi check what's wrong with her mind. This was after the mother of the accused confirmed to the court that her daughter sometimes behave as if she is mentally unstable. The judge then ordered the accused person to see a psychiatric for checkup before the next adjourned date. 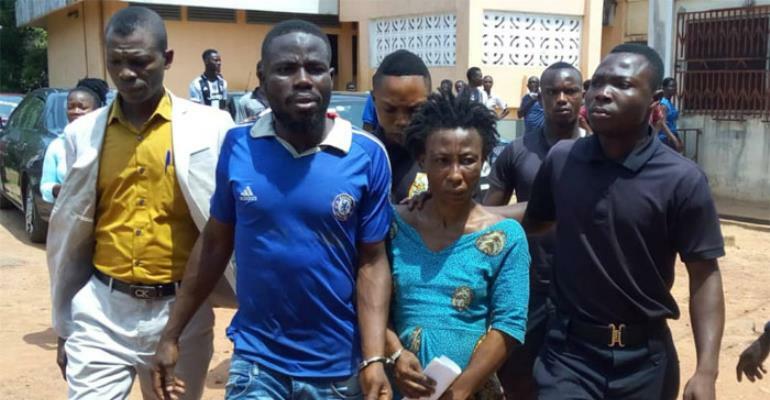 Meanwhile, the alleged boyfriend of the accused, Lawson Lartey, who is facing a charge of abetment, was granted a bail in the sum of GHc10,000 with two sureties.